Site Plan (PDF): Overview of building with primary sections color-labelled. Mural Canvas Layout and Sizes (PDF): Breakdown of number and dimensions of building sub-sections. Site Photos (PDF): Labelled images of building subsections. ArtServe is partnering with The City of Fort Lauderdale, MASS District, FAT Village, and Hooper Construction on the Open Canvas Project, to transform an abandoned city building into an exciting art canvas to serve as a public gateway to vibrant Fort Lauderdale neighborhoods. ArtServe seeks submissions from South Florida artists for mural concept art suitable for outdoor installation. Selected artists will be assigned a portion of the mural project to complete, and compensation will be determined commensurate with the mural size and specifications. Artwork will be reviewed by a panel of jurors. Selected artists will prepare and install their mural with some assistance from local volunteers on October 28 for Open Canvas Day, which will be part of Fort Lauderdale Cares Day. Artists may submit up to three (3) mural concepts with relevant hi-resolution JPEG images. Concept art should be created for an outside wall at least 14ftx14ft in size. Refer to the Site Plan, Mural Canvas Layout and Sizes, and Site Photos to guide your concepts. You may, but are not required to, submit concepts for specific sections or sub-sections of the building. Exact mural dimensions will be assigned to finalists. Jurors will select finalists from submitted entries. The panel of jurors includes members from the arts community, public officials, and related professionals to ensure the winning murals maintain the highest standard of artistic excellence. Open to all mural artists. Up to 3 original concepts in 2D or 3D may be entered for consideration. Artists chosen to install their mural will receive a stipend for their work (final amount to be determined). Mural paint and materials will be provided. All artwork is subject to review & placement discretion by the Curatorial Committee. Selection is based on quality and diversity of work. Mural placements are final. Online submission is REQUIRED, no emails will be accepted. Final mural lengths and height will be determined by location, jurors, and the artist’s concept. 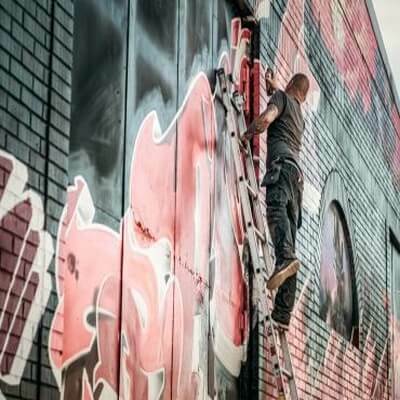 Mural installation will happen on Open Canvas Day, an event encompassing live mural art from chosen artists, music, family, food and friends coming together to deconstruct/reimagine the building that is a bridge between the surrounding neighborhoods. Guests will be invited to watch the live murals go up, eat, dance and mingle before heading to the FAT Village & MASS District Art Walks. We thank all artists who will be a part of this extraordinary event and hope you will encourage others to join you. Learn more about the Open Canvas Project at https://artserve.org/open-canvas-project/.